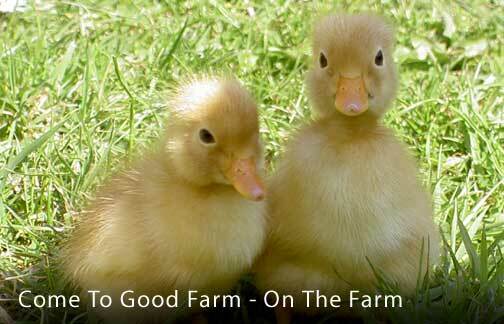 Some activities are seasonal in nature, like watching eggs hatching in the incubator, holding ducklings and chicks or bottle-feeding lambs, but the ducks and chickens always need to be fed and the eggs collected – something children of all ages enjoy. 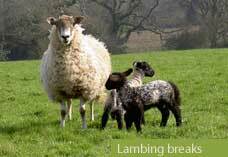 At the appropriate time of year we offer bespoke lambing and chicken breaks where we aim to share more than 40 years of experience with anyone who is looking to learn more about these things. Please contact us if you would like further information about these breaks. They can be tailored to your specific needs. • Learn about the different breeds before you buy and then what to look for when you buy. • Get advice about prices, legislation, equipment and what you need. 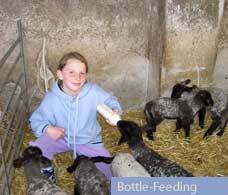 • Learn about general sheep husbandry: feeding and nutritional supplements; shearing and foot trimming; lambing and bottle-feeding; common diseases and how to treat them; tagging; tailing and transport. • Find out the inside information with tips and tricks about showing and selling. • Get information about relevant publications, associations and societies. Sheepdog training also available – please contact us for details. • Learn about the different breeds before you buy (best layers/meat birds etc) and then what to look for when you buy. • Meet some of our award-winners. • Get advice about prices, legislation, housing and equipment, transport. • Learn about general poultry care: feeding and nutrition; common diseases and how to treat them; breeding and caring for broody hens; cockerel handling. 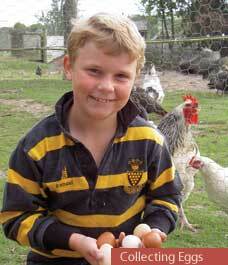 • Learn about eggs: freshness and dating; where to look for them in a free-range environment! • Get information about relevant publications and clubs. With sheep and poultry on the farm there is always something agricultural going on and we are only too happy for you to watch or join in.